Earlier in the year, Governor Cuomo announced a plan to transform the subway with free WiFi, USB chargers, and mobile payment. 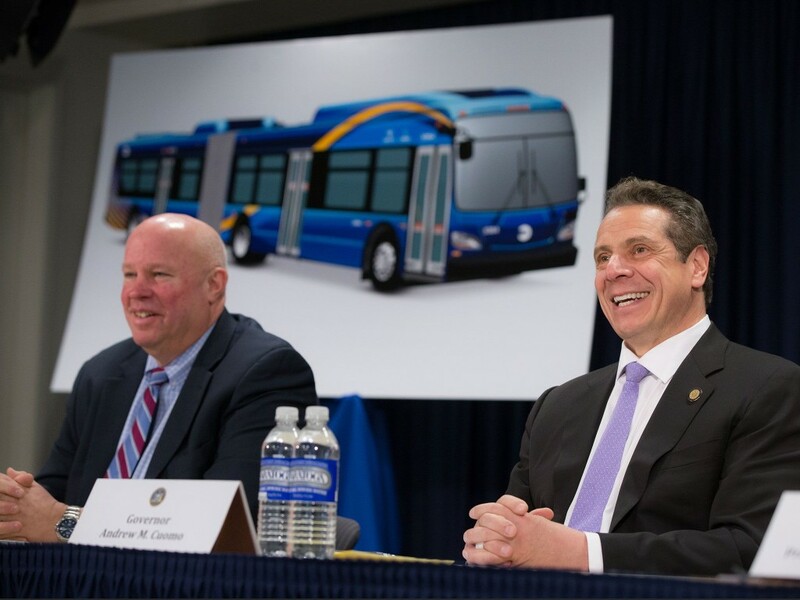 Though the idea sounded great in theory, skeptics were quick to question where the funding would come from, a sentiment echoed now that the MTA has revealed renderings and details for the 2,042 new buses that will come on board over the next five years. They’ll include similar modernizations, including WiFi, between 35 and 55 USB charging ports, and two or three LCD information screens, according to Crain’s. The Governor touted the new bus design — “It has that European flair to it. It has almost a Ferrari-like look.” — but he still hasn’t spoken about how the state will fund the MTA’s five-year capital plan. The new buses will replace more than 40 precent of the current fleet. Next month, 23 federally funded buses will hit the streets, with 52 more coming by the end of the year. This first lot will debut in Queens and will be built by New Flyer Industries, a Canadian company that will open a factory in western New York to make the parts. Later this year, old buses will begin to get outfitted with WiFi and charging ports. 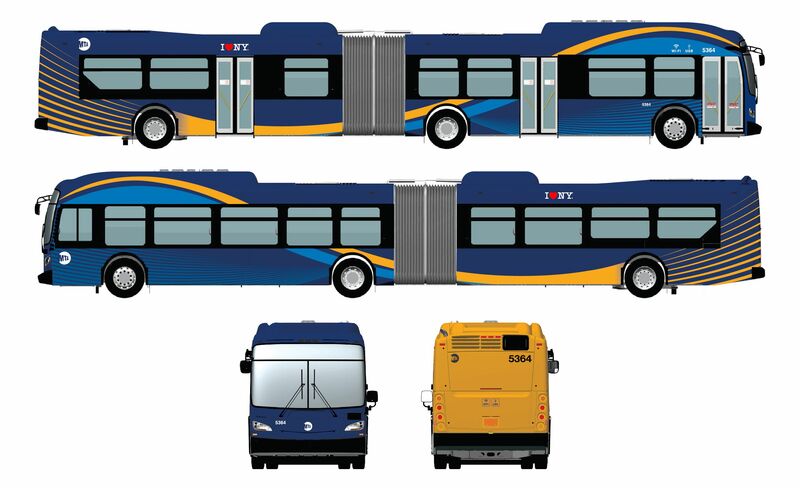 It will cost $1.3 billion for the new buses, plus “the Wi-Fi and ports together add $5,000 to the cost of each $755,000 bus, and the screens add $15,000,” according to Crain’s. Funding and budgeting issues aside, the entire fleet is expected to be operational by 2020. I bet the MTA will be making a lot of money auctioning off the lost and found phones. Enough to pay for those chargers.